Lately, several ladder folk and I had a brief discussion about removal in the game, and while that conversation didn't exactly lead to anything, I wanted to talk about a brief history, and the evolution of removal, along with some card ideas of my own. So, where do we begin? The Alpha set had it's own suite of removal as Solforge was born, let us have a look at them shall we? Notice something? Some of them are level-gated 'hard' removal, or some are damage based in Gemhide Basher and Lightning Spark. Some of them put you at an distinct disadvantage, Botanimate leaves a 3/3 for your opponent, whilst Grave Pact has one of your creatures bite the dust, and Energy Prison still leaves your opponent his creature. Some have restrictions like having the target have more attack than health in Dreadbolt, or even Natural Selection (not shown above), which demanded you have all your lanes full! While they have seen play back in the old days, only Lightning Spark sees any semblance of play these days. Why? Simply put, all of the level gated cards are inefficient. Why? Because at best, you go one for one, or otherwise the card becomes dead because you didn't level it early on. 'Can play it but don't want to becomes want to play it but can't' is a pretty apt description of these level gated removal spells. The damage based ones, while still can be used in the later game, aren't going to do their job if they have to kill a sixteen health creature, and often remain a wasted play. It is still of note that these cards were still played back then as several threats such as Brightsteel Gargoyle and Thundersaur lacked better answers. Moving onto Rise of the Forgeborn, where things got a little bit spicier. Notice that seven out of the eight examples involve getting a creature on your side in some form, and that most of them powered their own archetypes, specifically, Aegis Knight in UA Armour, Warlord in Yetis, Spitemage in N/T Control, and Will in Zombies. Were they better than their Alpha predecessors? I would argue yes, as they can be for than one for ones, Aegis Knight could flip boards on its head with a levelled Brightsteel Sentinel even without being levelled (Important. ), an on level Warlord turns even your weak level one Yetis into a dangerous thing to block. Xrath's Will given the right circumstances was a two for one, although it needed some support. Now what about the level-gated removal? Shriek was a veritable two for one, if it hits, but being able to manipulate where it could land was a godsend (Unlike, say Death Current). Spitemage never really got value by herself, but Grimgaunt Devourer, a huge contender in the RotF metagame, found itself as best friends with her, as the love suicide fuelled two triggers, removing a threat AND growing your own. Cercee minced utility creatures, who often had four attack, leaving your 1/1 Cercee that might kill another dude before going down. Overall, removal got much better in the set, as opposed to Alpha, where removal almost always had strict drawbacks, Rise of the Forgeborn had removal that potentially got you value, and were more forgiving in the levelling department. Secrets of Solis introduced several of the most powerful removal options in the current game, many of which are extremely relevant even now. Dysian Siphon and Oratek Battlebrand are very potent cards due to their raw power. Six damage kills a lot of things that previous burn spells simply did not. Frostmane Dragon and Broodqueen are prime targets since you want to pre-emptively remove them before they can activate their troublesome abilities, not only that, you get to level a card. Not only can you remove a problematic creature, but level the creature you would have played otherwise! That alone makes it one of the most 'feel good' removal spells to play. Simple, but very effective. Siphon is just Siphon. Its level one is can still be relevant, and levelling it isn't bad either. Effective due to raw power and an interdependency of levelling. Remember how Grave Pact was terrible? Give it a non-negligible body AND fodder. That's how you create a monster. While her old friends have been struck down by the nerf hammer a while ago, she's still powerful in her own right. Woe to those who cannot remove a six health creature, or more if she gets a helping hand from Weirwood Patriarch or Lysian Shard. The fact that she brings fodder is just icing. Her ability to trade up what is least valuable on your side of your board from their most valuable is what places her above the rest of her other level-gated brethren. Overload cards can be said to have the power level of level twos, Burnout is identical to Lightning Spark 2, for example. Just straight power keeps them relevant, although they have seen less play now since their release. Finally, Oratek Explosives and Rage of Kadras. These cards are very unique in the sense that they scale with your creatures while not needing to be levelled. Why is this so important? Its removal (again, the topic of this article) that you don't need to level, is useful at all stages of the game, and most of the time accrues you an advantage, or even blows your opponent out of the water. That's why they are so powerful as removal options, you don't need to invest heavily in game (There is still a deck building cost) by playing them every time you see them, but rather as opportunistic plays, which also gain you value. Interestingly, Imprisoned Heralds brought little to the removal table, but these two are worth noting, especially Sulgrim. 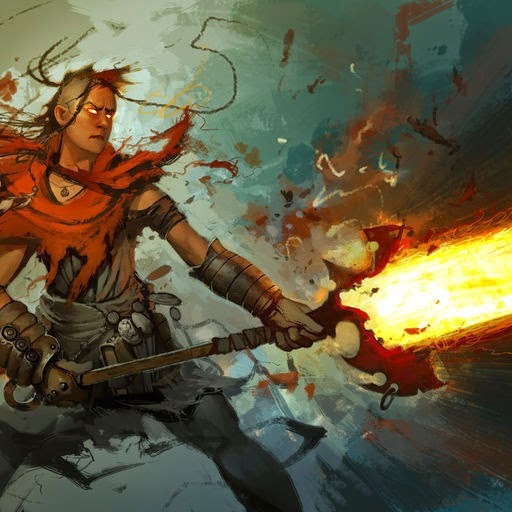 An interesting duality in both buff spell and removal, the damage on a level one Sulgrim can range from a measly two to an earth-shattering seventeen with Brightsteel Sentinel 3, while increasing the durability of one of your creatures slightly. Its level two with any creature with relevant amounts of armour, say Nexus Aeronaut 2, deals eight damage, a number comparable to Lightning Spark 2, and gives your Aeronaut an effective eighteen health! That's one tough creature to crack if there were ever one. Sulgrim 3 is also a total boss, sealing games that you're are winning and often stabilising boards you otherwise had no business with. Again, notice how Sulgrim scales with your creatures? While its is with a stat that is less universal than Attack, Armour has no lack of good creatures as a target, Nexus Aeronaut, Brightsteel Sentineled Robots, Oreian Scavenger, or even the almighty Vault Blockade. Sorrow Maiden is similar to Dysian Broodqueen in the sense that they are both utility creatures that are reusable, but while Broodqueen is level gated, Sorrow Maiden is attack gated, however, four attack isn't as common as it used to be, and she has been left on the wayside for now. Of course, given the right meta-game, she is sure to shine. Now, where does all these talk leave us? Level-gated removal is usually terrible as you have to level it in order for it to remain relevant, and one-for-oneing your opponent is not optimal. Removal that scales with your creatures is often really good. Being able to accrue advantages from playing removal is even better. Oratek Explosives, Rage of Kadras and Gauntlets of Sulgrim certainly are top contenders for removal that fits the 'scaling with your creatures' category, while Broodqueen is the only decent level gated removal around. But Uterra and Nekrium currently don't have access to removal that scales along their creatures as the three spells mentioned are all in Alloyin or Tempys. 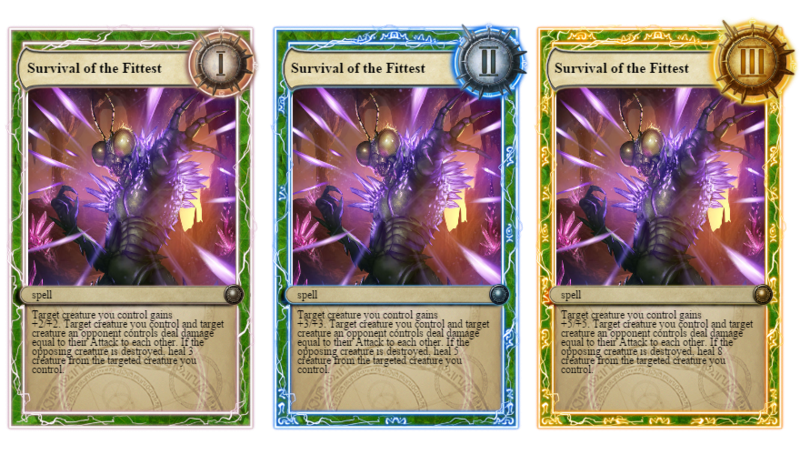 With that, I'll like to give my own take on what cards like the above mentioned would look like in Uterra or Nekrium. A 'Fight' mechanic seems fitting in Uterra with all the big beasties romping around. Being able to remove a threat in an faraway lane means all Uterra decks are able to do this, UA being a notable case. There are several cards that work with this really well, one of them being Thundersaur, who loves buffs, being able to aggravate him when your opponent refuses to block him AND healing him for a minor amount are all things the big 'Saur adores. Another that comes to mind are creatures with high armour like Nexus Aeronaut or Oreian Scavenger. The most important part of this proposed idea is however, giving the ability to any deck containing Uterra the efficient ability to remove threats pre-emptively. If you have to kill that 1.3 Frostmane Dragon or Broodqueen, you can do it even if you are UA, which always has been notorious for lacking good removal, but the card doesn't level well at all, which is the downside to playing it. What about Nekrium? Well, dear readers, that's where you come in! Comment below or send an email to teambattlebranded@gmail.com your ideas and what should it look like. http://imgur.com/8romz2G My idea for a Nekrium removal spell. It can be used underleveled but hurts to do so. If the power of the spell seems low, maybe make the opponent lose a multiple of life too, eg divided by 3/2/1 so it can be used as a finisher if it's leveled or you have a large lead.